Congrats to Clint Walker for recently being featured on Thrasher’s site for their Firing Line clip! 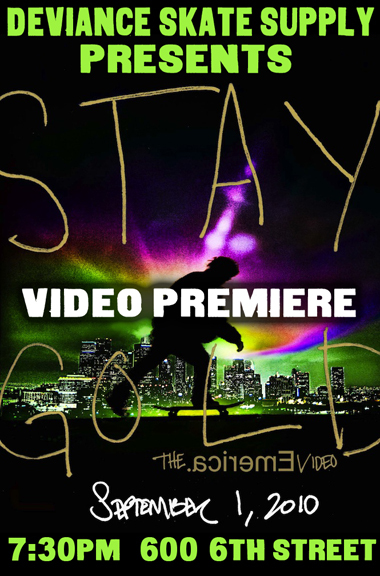 EMERICA STAY GOLD VIDEO PREMIERE will be Wednesday September 1st @ 7:30pm…. $2 will get you in the door and videos will be available for purchase after the premiere. Falls Fest is right around the corner too! Look for to go down in late September. You are currently browsing the FSPSkateboarding blog archives for August, 2010.